To activate the eyedropper tools, click the Click and Drag button. Double-click the Set White Point eyedropper, the white eyedropper on the left side of the Curves panel. When you double-click the Set White Point eyedropper, the Color Picker dialog box appears. Enter a generic value for the lightest point in your image: Type 5 in the Cyan text box, type 3 in the Magenta text box, type 3 in the Yellow text box, leave the Black text box at 0 (zero), and then click OK. The Black value helps to correct most images for print and online. When you receive an alert message asking whether you want to save the new target colors as defaults, click Yes. With the Set White Point eyedropper still selected, click the color sampler you dropped on the image, indicating the lightest point in the image. Now, set the shadow point. Double-click the Set Black Point eyedropper. The Color Picker dialog box appears. Type 65 in the Cyan text box, type 53 in the Magenta text box, type 51 in the Yellow text box, type 95 into the Black text box, and then click OK.
As with the highlight value, the Black value is a generic value that works for most print and online images. 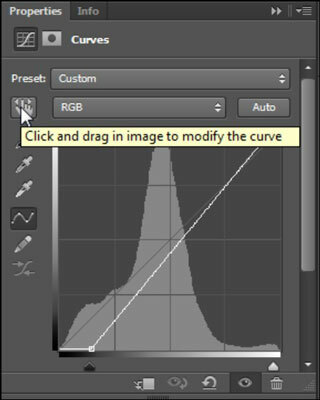 Keep in mind that if you set your Color Settings up correctly, you don’t have to change the Set Black point value. With the Set Black Point eyedropper still selected, click the color sampler you dropped on the image, indicating the darkest point in the image.